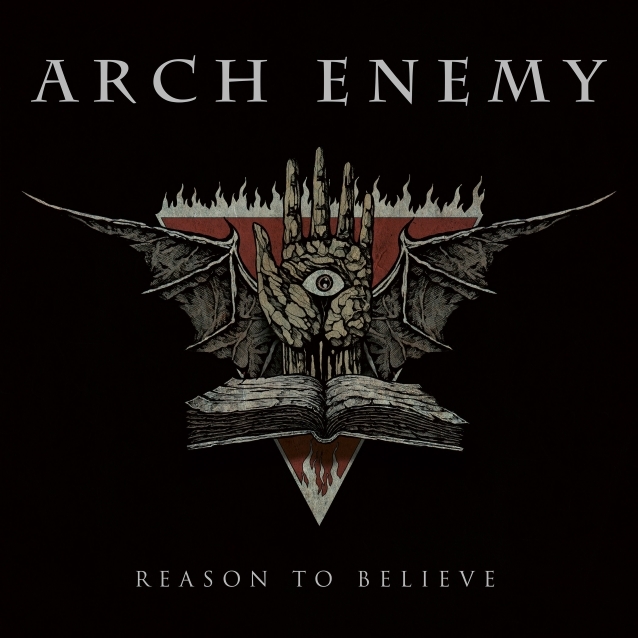 A teaser for the "Reason To Believe" music video from extreme metallers ARCH ENEMY is available below. 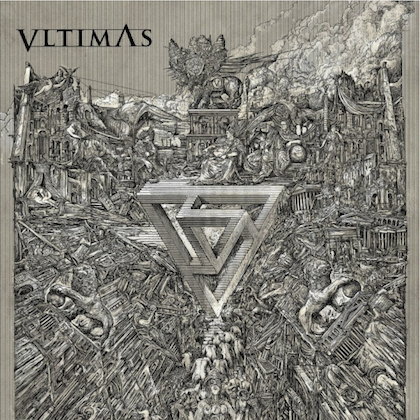 The full clip, which was once again directed by Patric Ullaeus of Revolver Film Company (IN FLAMES, DIMMU BORGIR, LACUNA COIL, AMARANTHE, KAMELOT), will make its online debut on Friday, December 7. Scheduled to arrive the same day is a strictly limited, hand-numbered seven-inch single and a digital single for "Reason To Believe" through Century Media Records. Both formats, physical and digital, feature the cover song "Shout" (TEARS FOR FEARS) as a B-side. On January 18, 2019, ARCH ENEMY will release a compilation, "Covered In Blood", of all cover songs the band has recorded throughout its career. This past summer, ARCH ENEMY guitarist Michael Amott spoke to Hayley Leggs about the band's decision to record a near-ballad, "Reason To Believe" — complete with clean vocals — for its most recent studio album, 2017's "Will To Power". "I wrote the music for that song with my brother [former ARCH ENEMY guitarist Christopher Amott], and it was obviously a ballad, and we thought, 'Well, if we use it for ARCH ENEMY, it's gonna be weird to just growl and scream on that music,'" he said. "So I talked to [ARCH ENEMY frontwoman] Alissa [White-Gluz] about it, and we came up with the arrangement and everything. "But it's actually gone down very well with the fans," he continued. "And it's always been my ambition anyway… I've never been a diehard, 'It's gotta be all extreme or nothing.' A lot of my favorite music… I grew up with thrash and death metal, but also I'm a big fan of SCORPIONS and JUDAS PRIEST. All those great bands — SCORPIONS, JUDAS PRIEST, MANOWAR, BLACK SABBATH — they've all got ballads as well. So I think this makes us more of a complete metal band in a way." According to Michael, White-Gluz's addition to ARCH ENEMY following the 2014 departure of Angela Gossow has "opened up a few doors for me as a songwriter, because she's got more things she can do with her voice. So now we're gonna explore that a bit," he said. In a 2017 interview with Revolver, Alissa said that some ARCH ENEMY fans were "really surprised" to hear her sing "different ways. But I've been doing that since high school and in my other bands, [such as THE AGONIST], so that's nothing new to me," she explained. "In the ARCH ENEMY world, it seems like there were only a few people who knew that. When I posted the video I did with KAMELOT for 'Liar, Liar', a lot of people were, like, 'Um, what is going on?' And I was like, 'Wait, you don't know about this? [Laughs] From that point on, a lot of people were like, 'Wow, we want to hear clean singing in ARCH ENEMY, too. And actually, Michael had been dying to write sort of like an extreme-metal ballad. So it was perfect."